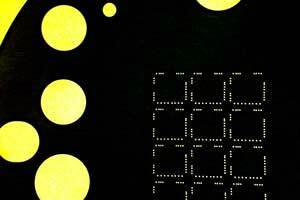 In the early days of microfluidics research, devices were most commonly fabricated in silicon or glass. Material options were limited because photolithography was used for manufacturing chips. Glass in particular was seen as a good choice since it is optically transparent and electrically insulating, as well as being an amorphous material. But times have changed. 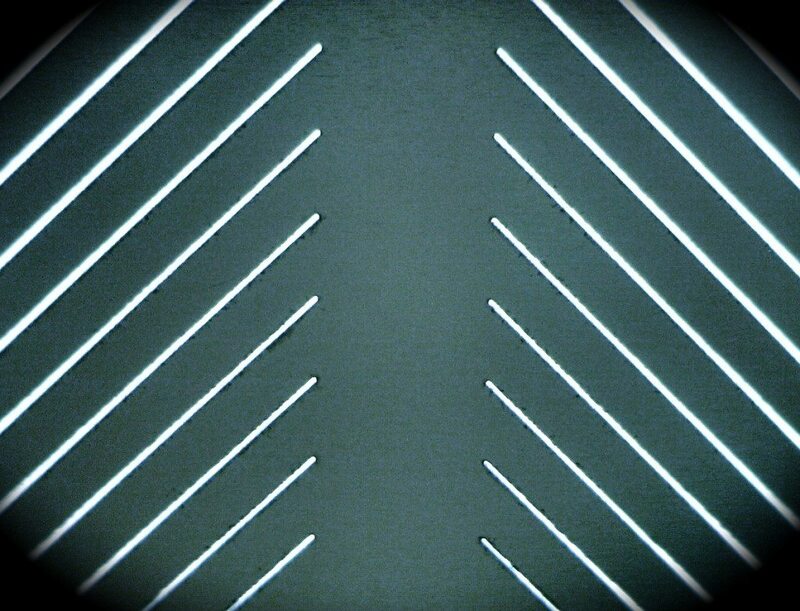 Laser micromachining is used now to prototype and produce microfluidic chips, which provides a much wider range of material choices. Organic polymers have fast become more viable materials than silicon or glass since they exhibit excellent material properties while also being less expensive both in purchase price and cost of processing. POLY-METHYL METHACRYLATE (PMMA) is an inexpensive polymer that has become one of the most commonly used materials in microfluidic systems. Despite its low price, it exhibits the properties needed to fabricate good quality devices. PMMA is rigid and has excellent optical transparency. The polymer is also compatible with electrophoresis, which is important for many types of research. Potomac routinely laser micro-machines PMMA with excellent results. We have also developed complementary processes for manufacturing microfluidic devices in production once prototypes are optimized. Bonding chip layers is an especially important process in building microfluidic chips. The process must create strong bonds while not allowing the fluid channels to collapse. 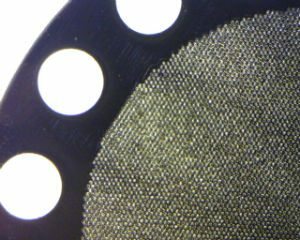 Individual layers of the device are first fabricated by using rapid microfabrication technologies such as lasers, micro-CNC, hot embossing, 3D printing, etc. It is interesting that Schott, which started its manufacturing history more than 125 years ago in Germany as a glass factory, manufactures a new type of polymer increasingly used in microfluidics. Cyclic olefin copolymers (COC) are actually composites of multiple types of cyclic olefin monomers and ethene. In addition to its inexpensive cost COC is easy to fabricate and is quite moldable. COC manufacturer Topas has measured total light transmission at 91.4% while maintaining very low chromatic aberration. 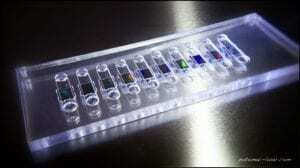 For that reason alone, it is now used in optical parts for cameras and laser printers. In microfluidic systems COC is also an excellent choice specifically because of its biocompatibility and high chemical resistance. It also can be sterilized with a wide variety of techniques. Because of its crystalline structure, glass tends to crack when cut either mechanically or with laser machining. Potomac has developed successful processing techniques that eliminate cracking. But it is time consuming and requires much more expertise than machining plastic. Whether fabricating our tiniest features down to one micron or manufacturing larger parts, plastics machine quickly and easily. Consequently, the cost to machine glass is exponentially higher than for plastics. 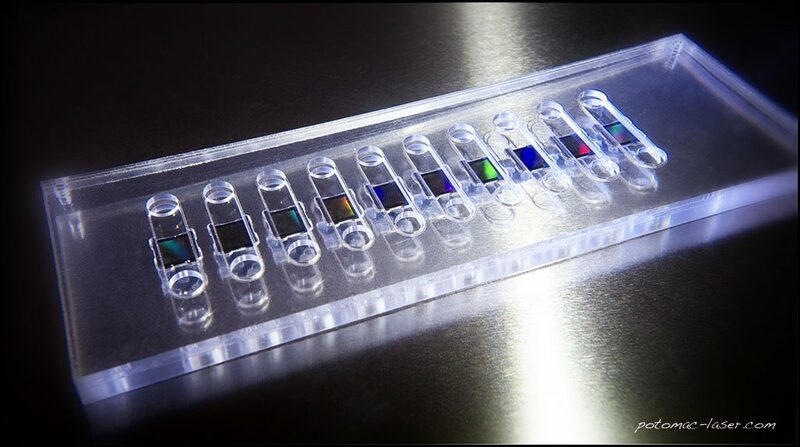 If you’re not sure about switching to polymers from glass for your microfluidic systems, try a quick test. Potomac can economically make you a plastic part for your comparison, and we predict you’ll never look back.